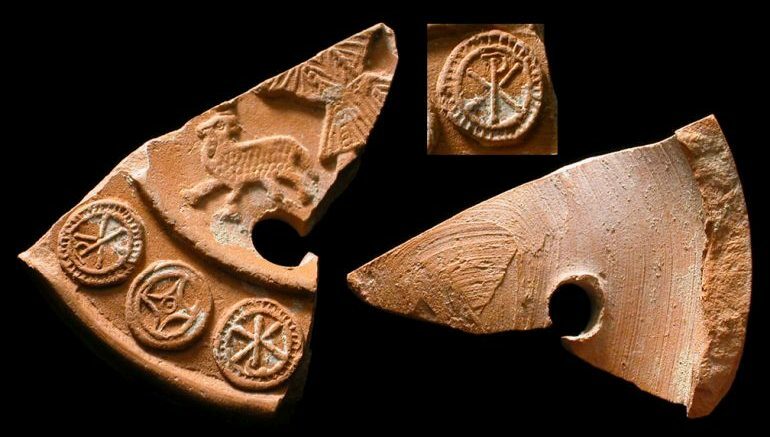 Terra Sigillata pottery fragment from Roman North Africa, circa 4th-5th century AD. Fragments of North African unglazed pottery harking back to an antediluvian epoch 10,200 years ago have revealed what seems to the first known evidence in human history for cooked veggies. The prehistoric food remnants comprising vegetables, grains and plants allude to how people in that particular region were cooking their stuff long before the advancement of agriculture. In fact, in terms of numbers, the cooked items predate the advent of agriculture in North Africa by almost 4,000 years (though cultivation of founder crops was possibly practiced in Levant around 10,000 years ago). According to Julie Dunne, a post-doctoral research associate at the University of Bristol School of Chemistry, who led the study, the grains were cooked to make a porridge like dish, similar to a food item consumed even now in parts of North Africa. The porridge dish was accompanied by boiled leafy plants (and even aquatic plants), and these were served along with meat and animal fats. In essence, the prehistoric culinary ambit might have comprised stew-based concoctions of leafs, veggies and meat. It should be noted that these ancient ceramic vessels were primarily found at two sites in the Libyan Sahara, namely Takarkori and Uan Afuda. 10,000 years ago, both of these sites boasted green savanna landscapes with coarse grasses and disparate trees. To that end, the variety of plant products cooked by the inhabitants of the area, as deduced from the analysis of the pottery remains, is pretty impressive. For example, the researchers found evidences of fig trees, cattails, cypress, carrot seed grass and desert dates used in conjunction with millet, foxtail grass and barnyard grass. Additionally they also found remnants of cooked fruits from Echinochloa, Panicum and Setaria, many of which are still consumed in present day North Africa. Now beyond just the types of cooked food, it is the development (and evolutionary pattern) of cooking food that holds more value when it comes to historicity. In that regard, the researchers were surprised by the high level of ‘expertise’ showcased by these prehistoric people in actually choosing the items. For example, cypress trees have poisonous sections – and yet the populace developed means to remove these parts and efficiently cook the edible stuff, a method which probably took years of ‘trial and error’. 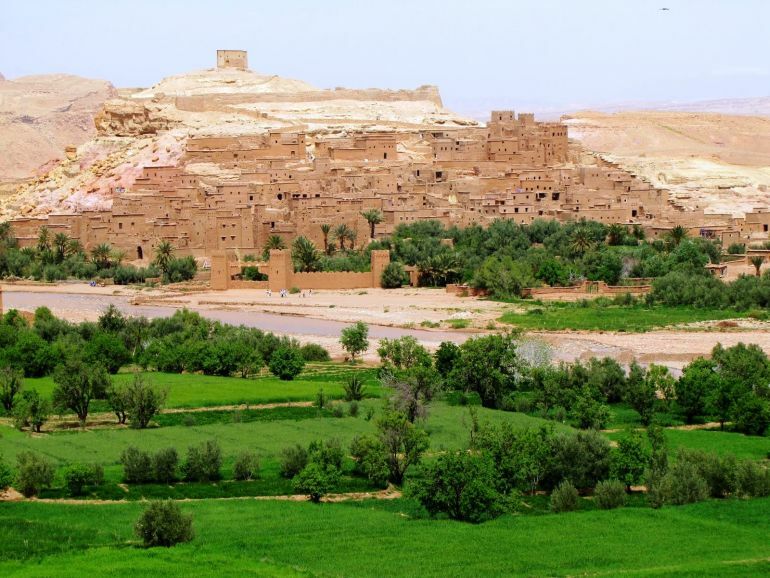 ‘Shades’ of green in Moroccan Sahara. As since we brought up historicity, archaeologists have found remains of grindstones that even predate the aforementioned ‘dirty’ pottery. These findings suggest that edible items like fruits and plants were processed and heated for consumption, earlier than 10,200 years ago. Furthermore, scholars also believe that North Africa inhabitants had their ‘indigenous’ mode of producing pottery, thus presenting a unique scenario where pottery was possibly independently invented twice during human history (the other being developed in East Asia, 16,000 years ago). In essence, the North African variation of the invention would allow the locals to effectively boil the plants in ceramic vessels before consumption. In an intriguing turn of events, as the researchers noted, the cooked food would have also made it easier to nourish the infants. That could have led to earlier weaning and reduced times between births, which in turn possibly enhanced the fertility rates of women in pastoral communities. In any case, this brings us to the question – why did cooked food predate the emergence of agriculture in North Africa? Scholars hypothesize that the ‘greenness’ of Sahara probably played its bountiful role in rather postponing the need of growing food. In other words, the occupants of the region already had access to plenty of wild game, complemented by plant and aquatic resources. However by 6000 BC, the inhabitants did begin to domesticate animals, primarily for their dairy products. And within years, the animals were also consumed for their meat and fat – thus striking a balance by including protein-rich dietary patterns. And as the North African region grew more arid, the occupants finally had to adopt, by domesticating plants instead of expending their energy in searching for scarcely available wild varieties. The study was originally published in the Nature Plants journal.